After the shocking revelation that Zoom is Jay Garrick, Barry is more determined than ever to get back to Earth-2 to stop Zoom forever. Desperate to find a way to increase his speed, Barry decides to travel back in time and masquerade as his earlier self in order to get his arch-nemesis, Dr. Harrison Wells/Eobard Thawne, to teach him how to run faster. 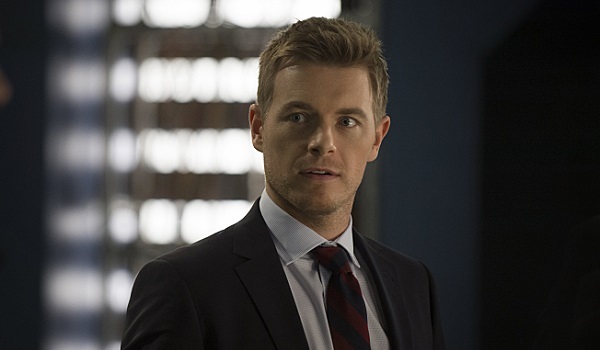 However, things don’t go as planned and Barry is stunned to face familiar foe Hartley Rathaway (guest star Andy Mientus), as well as old friend Eddie Thawne (guest star Rick Cosnett). Iris makes peace with her past in order to embrace her future. Eddie’s suicide in order to change the timeline and prevent Eobard from ever being born was one of the most devastating and memorable twists of the Season 1 finale. Thus, it’s only fitting that Eddie will return in the same episode as his very distant descendant, due to time travel. Besides, Eddie was a regular figure in Past Barry’s life. If Barry is going to masquerade as his past self, crossing paths with his friend was inevitable. Hopefully, Barry won’t be too surprised by the turn of events. It’s also smart that Eddie will be returning in an episode during which Iris will be making peace with her past. While the recent introduction of her brother Wally and death of her estranged mother Francine means that Iris has plenty of stuff to deal with, Eddie appearing in an episode makes it likely that Iris may get the chance to deal with his death in the present for some narrative symmetry. The Flash got off to such a speedy start in Season 2 that Eddie’s death was glossed over somewhat, so Iris getting some closure would be a nice development, especially if she’s going to be moving on. We already knew that Barry would be encountering Season 1 villain Hartley Rathaway in Episode 17 of Season 2, but there hadn't been confirmation regarding whether Rathaway would be causing trouble in the past or in the present. Now that we have some more details, we can assume that Eddie will be helping Barry in his second showdown with the Pied Piper. Interestingly, The Flash returns from a brief hiatus to air its sixteenth episode on March 22, meaning that Episode 17 featuring Eddie Thawne and Hartley Rathaway and revolving around Barry’s attempts to get to Earth 2 won’t be airing until after the big Flash and Supergirl crossover. We’ll hopefully get to see how Barry ends up going to Kara’s world by the end of the episode. The Flash airs on Tuesday nights at 8 p.m. ET on The CW.